This well-crafted and composed song was produced by Kelvin Johnson (Veen) and mixed by 19-yr old Marco Stewart - an audio engineer from Los Angeles, California. 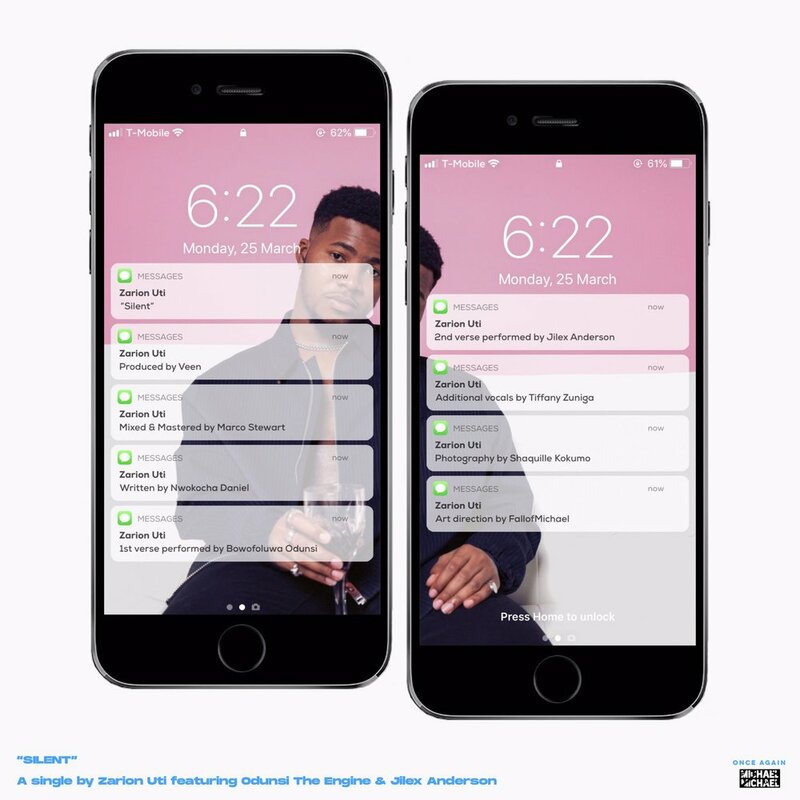 'SILENT' is the first single off Zarion Uti's 2nd official studio project (expected later this year). Zarion recently signed with UK distribution company AWAL and is currently working towards his very first U.S. tour scheduled to begin this Summer. Listen to "SILENT" by Zarion Uti on #Top40Africa here.